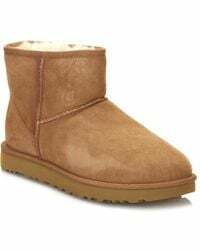 Established in sunkissed Australia, UGG boots were originally created to keep surfers warm in between waves. 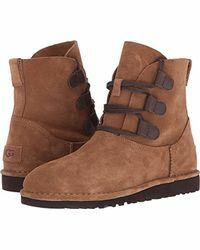 Today, this cult brand is adored worldwide for its sheepskin-lined suede boots, a go-to when the temperature drops. 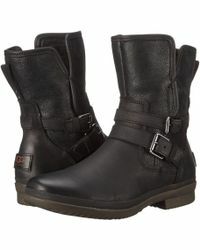 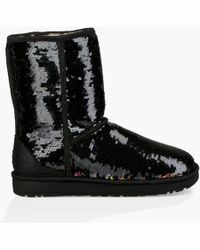 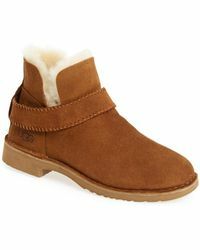 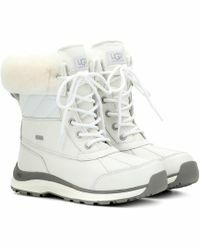 UGG's collection of stylish ankle boots is perfect for both evening and daywear. 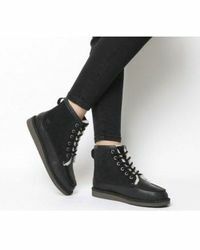 From cozy classic short boots perfect for lounging in the house to elegant and heeled fold-over cuff boots ideal for a night on the town, this line of ankle boots blends form and function.